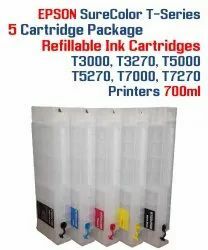 Manufacturer of a wide range of products which include inks for epson lfp r 3000, inks for epson lfp pro 7700, maintenance tank chip for epson sc f6270, f7270, f6070, ink for espon lfp 9400, pigment ink cartridge for epson t3270, t5270, t7270, f6270 and inks for epson lfp pro 3885. The SureColor F7270 joins the complete line of SureColor F-Series printers, integrating true roll-to-roll support with its new highly accurate take up reel and substrate system, delivering extreme winding accuracy for unprecedented levels of performance in the dye-sublimation transfer textile market. 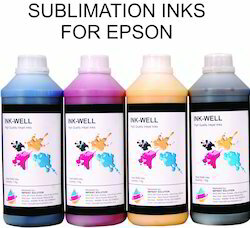 Epson Compatible Cartridges for Epson Plotter with Ressetable Chips and Compatible Inks. 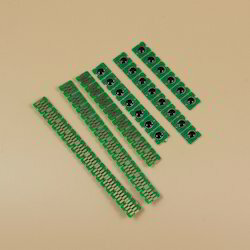 Chip Type - Auto Ressetable. 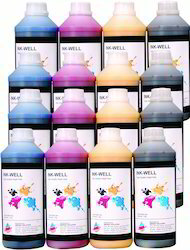 INK-WELL offers variety of Bulk Ink Cartridge solutions for various plotters and LFP Printers. 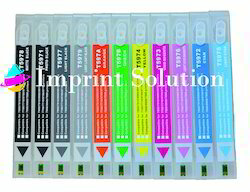 High quality Inks, refillable cartridges, decoders, and chip resetters are available for most of printer models. 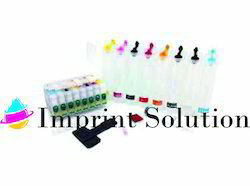 Inks are specially developed to suit every printer color calibration and printhead technology. 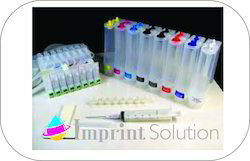 Pigment inks compatible for Epson LFP printer are so precise considering the stringent performance requirements of Epson print-heads. 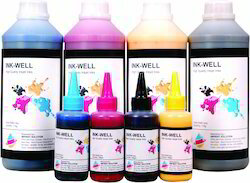 Ink Tank: Ink-Well is leading Ink tank and CISS system importer in India. 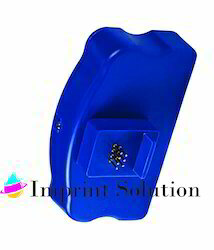 Epson CISS and CISS for Epson printers are available for wide range of printers. 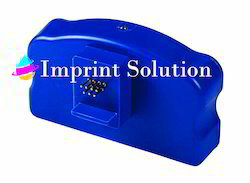 Ink tank for Epson offers great economy in printing cost.